The photographs submitted by our citizen scientists are observations. The image can describe a range of things about the location it depicts on the day it was taken, such as water conditions or the presence of coral, algae or fish. By participating in classification, you’re helping the research team translate data from the observations into quantitative data that can be used in scientific models. When you use our interface to identify what is in each circle on an image, your choice is recorded as numerical coordinates (X,Y) and a number for the choice (e.g. coral = 1, sand = 2). By presenting the images to you with a spatially balanced random sample of circles to classify, researchers are extracting a sample of what’s found in the image, which they use to estimate the total coral cover on the image from your classification. Thus the citizen scientists who participate in this project are translating visual data into quantitative data that is more useful for statistical modelling. The more images we have of the reef and the more people who classify each of those images, the information we can extract from the data during the modelling process. 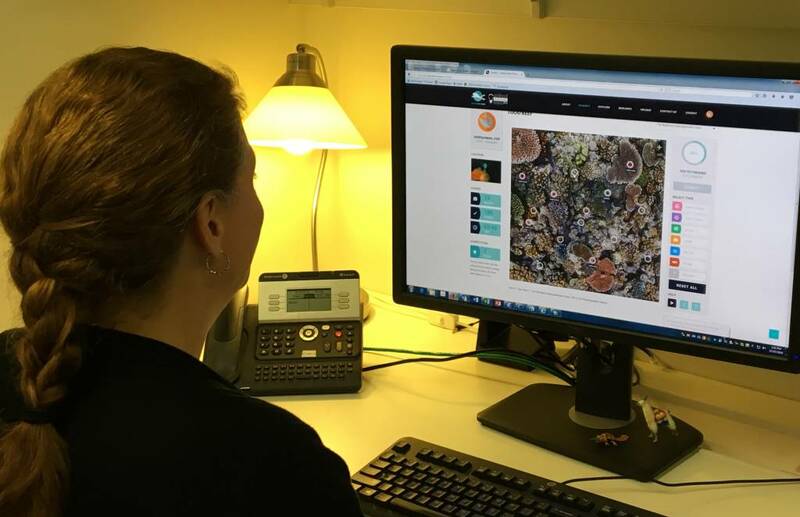 You can help the project by classifying what you see in the reef images on this site.